Should Congress ban kids from owning smartphones? According to a Thursday night monologue, television firebrand Tucker Carlson thinks the answer is yes. In his nightly speech, the Fox News host inveighed against the effect smartphones are having on adolescents, arguing that "smartphone use makes your kids sadder, slower, and more isolated, and over time can kill them." Carlson called on Congress to regulate smartphone usage in the same way that it has regulated cigarettes, keeping them out of the hands of vulnerable youths with minds still moldable by exposure to not as-of-yet understood technology. 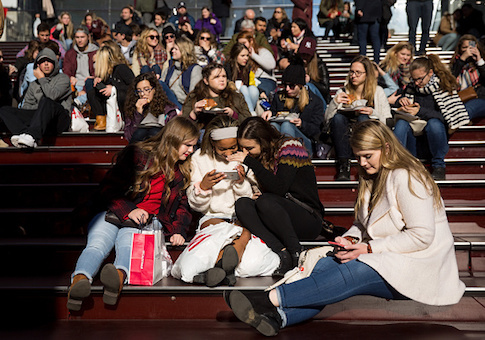 Bradford Wilcox, a professor of sociology at the University of Virginia who has written on the social implications of smartphones and screen time, told the Washington Free Beacon that the teen mental health crisis may be linked to the rise of smartphones. 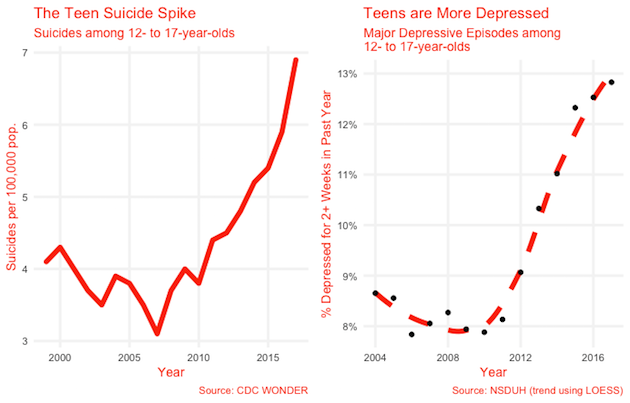 "There's clearly a link between changes in depression, suicide, shifts in socializing. You have to ask yourself, what's happening in the social environment that's different from a decade, a decade and a half ago?" Wilcox said. 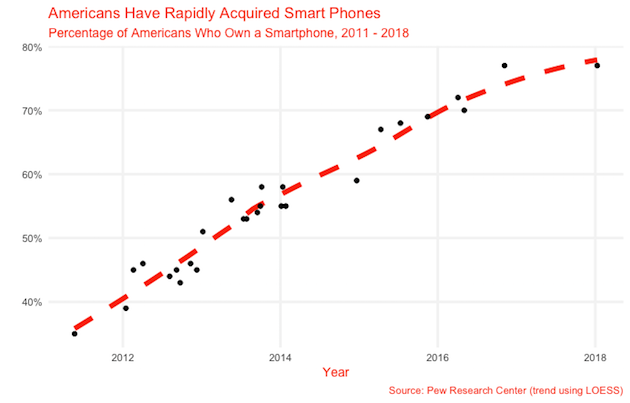 "One of the obvious candidates here is the introduction of smartphones, social media, and the screen culture more generally." The same phenomenon is clear for teen social media use. Essentially every teen uses one or more social media sites, according to a 2018 survey from Pew, with YouTube being the most popular (85 percent using), followed by Instagram (72 percent) and Snapchat (69 percent). These figures in general represent an increase over the 2015 rendition of the same survey. What is more, there is an open question of the direction of the relationship—social media and smartphone use might encourage depression and suicidal ideation, but the latter might also induce more of the former; or another factor might determine both. Research, cited by Carlson, links social media use to depression and abstinence to its alleviation. Other research, however, finds this claimed link wanting, and connects social media use to increased life satisfaction—suggesting that social media's emotional impact may be contingent on a number of other associated factors. "The results show a clear pattern linking screen activities with higher levels of depressive symptoms/suicide-related outcomes and nonscreen activities with lower levels," Twenge and her coauthors write. "[A]dolescents using electronic devices 3 or more hours a day were 34 percent more likely to have at least one suicide-related outcome than those using devices 2 or fewer hours a day, and adolescents using social media sites every day were 13% more likely to report high levels of depressive symptoms than those using social media less often." This insight underlies an analysis from two University of Oxford professors, who used three very large data sets (two from the United States, one from Great Britain) to exhaustively examine the relationship between screen time and well-being among adolescents. They found a statistically significant relationship between the two—but also that increased screen time explained at most 0.4 percent of variation in well-being when with other variables. In other words, statistically significant—but also very small in absolute impact.